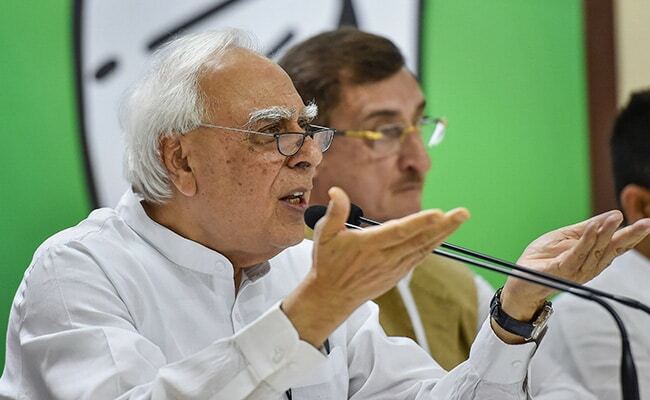 Kapil Sibal wore two hats on Tuesday, defending Anil Ambani in court as a lawyer on the same day he attacked the industrialist on the Rafale controversy as a Congress politician. Kapil Sibal, 70, appeared for Anil Ambani in the Supreme Court for a hearing on a contempt petition filed against the Reliance Communication (RCom) chairman by Ericsson India over unpaid dues of Rs. 550 crore after it sold assets to Reliance Jio. Kapil Sibal and Mukul Rohatgi argued that no contempt of court case could be made out against Anil Ambani. The court asked Anil Ambani to appear in court again on Wednesday. "I was representing Reliance Communications against Ericsson and this has nothing to do with Rafale. This is a corporate fight and Anil Ambani is the MD. I have been appearing for them for 20 years," Kapil Sibal told NDTV, seeking to separate his professional role from his party. In 2014, Ericsson India had signed a seven-year deal to operate and manage RCom's nationwide telecom network. Ericsson India alleges that RCom had not paid dues of over 1,500 crore. It challenged the debt-ridden firm before the National Company Law Appellate Tribunal. Just before the hearing, Kapil Sibal put on his Congress shoes and tweeted against the government and Anil Ambani. And as the senior lawyer defended Anil Ambani in court, at the Congress office, his party boss Rahul Gandhi was railing against the industrialist. The Congress president said Prime Minister Narendra Modi is "acting as Anil Ambani's middleman" and cited an email that he said revealed the industrialist had visited Paris and met with the French Defence Minister 10 days before the PM went there and announced the 36-jet deal with France. The Congress president alleged that Anil Ambani was aware of the deal when even "the Defence Minister and Foreign Secretary didn't know". 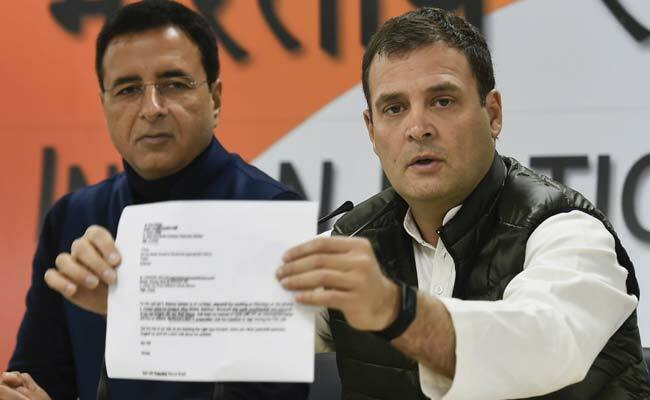 Holding up a copy of the email of an official of Airbus, Rahul Gandhi said: "Anil Ambani, who met the French Defence Minister, mentioned an MoU he is looking forward to sign after the Indian prime minister's visit to France. 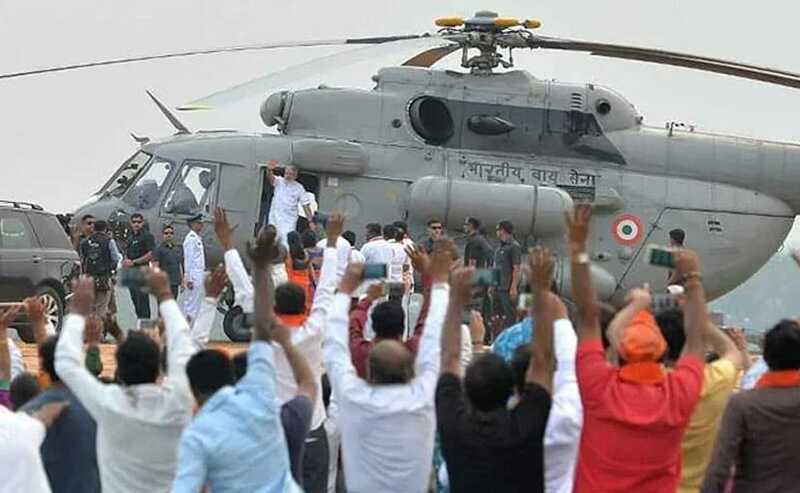 Mr Ambani says he is first looking to make commercial helicopters. This is a breach of the Official Secrets Act. The PM is the only other person who knows about this. In fact, Anil Ambani opened his company after this meeting. 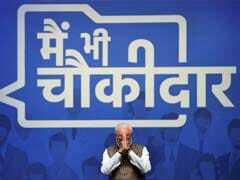 The PM is acting as Anil Ambani's middleman, it is in black-and-white for anyone who reads the email." Rahul Gandhi cited an email that he said revealed Anil Ambani had visited Paris to meet the French Defence Minister. Anil Ambani's Reliance Defence has said "facts are being deliberately twisted and reality being ignored" and that the visit had nothing to do with Rafale. In 2017, Kapil Sibal's double role was similarly awkward for his party. He had represented the All India Muslim Personal Law Board (AIMPLB) in the triple talaq case in the Supreme Court. Before that, he had defended the Trinamool Congress in the Saradha scam when Rahul Gandhi was attacking Mamata Banerjee for corruption. In the middle of the 2017 Gujarat election campaign, Kapil Sibal had requested the Supreme Court to defer the hearing in the Ayodhya title suit until after the 2019 national elections as the verdict could have a bearing on the polls. PM Modi has since repeatedly accused the Congress of delaying the resolution of the temple-mosque dispute. The BJP attacked the Congress over Kapil Sibal's criticism of Anil Ambani while also appearing for Reliance in court. "Rahul Gandhi and Congress party are indulging in fake propaganda because the company (Anil Ambani group) that they allege has been benefited here (in the Rafale deal) did not receive any benefit in this government, but was unduly benefited when the Congress was in power," BJP spokesperson GVL Narasimha Rao was quoted as saying by news agency Press Trust of India.